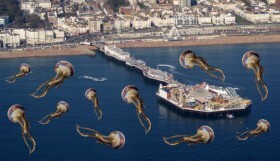 Published On April 1, 2015 | By We Love Brighton | Only in Brighton! 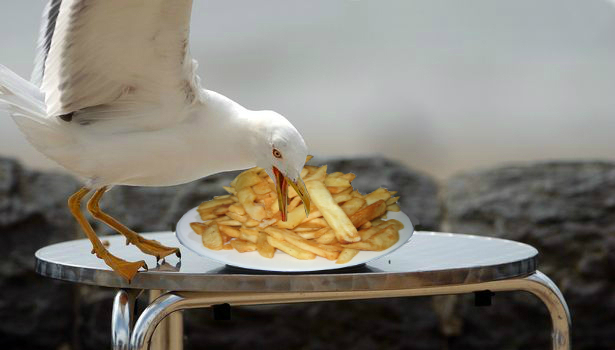 A charity in Brighton has introduced a detox clinic for seagulls – after the birds gave up fish and became addicted to CHIPS! 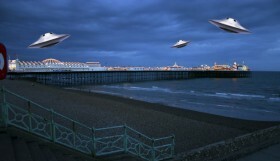 Brighton’s seagulls are infamous for stealing tourists food but now it seems the greedy birds have become so obsessed with the chip shops that line Brighton’s seafront they no longer venture out to sea. In fact some have become so fat they can barely take flight at all. Said Pal Olorif, a Norwegian scientist who lives in the city and who has launched the Seagulls Slimming Club. “We have undertaken a study over the last year which shows many of the birds are putting on weight at an alarming level and have completely changed their feeding habits. “The additives used in frying chips are almost like a drug to these birds and they can become very aggressive as they try to get their next fix. 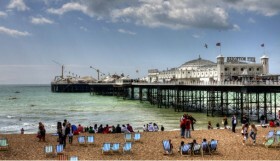 The Seagulls Slimming Club – dubbed as Brighton’s ‘Betty Ford for Birds’ – currently has 150 members and has gained a huge following on Twitter – not least because the town’s football club is also nicknamed ‘The Seagulls’. “I think a lot of people do get confused,” admitted Olorif, who has applied to Brighton & Hove Council for funding. “I’m sure there are plenty of overweight supporters at the football club – but we feel it’s the real seagulls we really need to worry about. 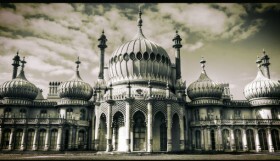 “When people think of Brighton they think of the seagulls flying gracefully above the city. But if these birds continue to put on weight there is a serious danger they won’t be able to fly at all.